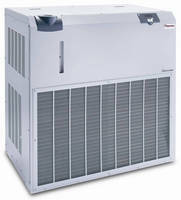 Air-Cooled Chillers offer capacities up to 40 tons. Magnetic Bearing Centrifugal Chiller is energy-efficient. Modular Chillers come in 1, 2, 4, and 6 kW cooling capacities. 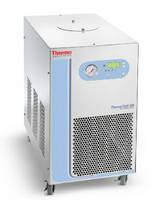 Thermostatic Laboratory Chillers feature -10 to 80° range. Recirculating Chillers offer 700-2,000 W cooling capacity. Recirculating Chiller suits semiconductor applications. Recirculating Chiller features 24,000 W cooling capacity. 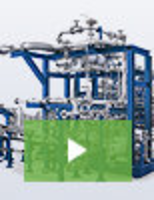 Designed as modular platform, NESLAB ThermoFlex 24000 employs water filters that can be changed while unit is in operation and user interface that facilitates operation. 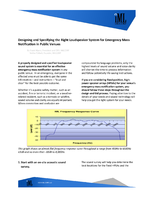 Quick start guide, also included, enables seamless start-up within minutes. Chiller serves markets such as aerospace, industrial, laser, medical, printing, and semiconductor processing.